The love of cars is something that unites many of us. Whether we are fans of the Italian beauties, or we admire German luxury does not matter. American or Japanese means little here. Because we can all come together and appreciate a nice piece of vehicle engineering at the Monterey Car Week. But what makes it so special? Are people just interested in the extravagant vehicles that are present, or is there something more to the whole car week? Today we will find out a bit more about the history of the event, and we will see what makes it tick. Because we from Corsia Logistics actually have a little bit of a contribution to it. While the Monterey Car Week is now a series of events, it did not start out as such. In the very beginning, things were much more different. So much so that even the Pebble Beach Concours d’Elegance was not the main thing, but rather a secondary event. It all began with the Pebble Beach road races of 1950. People were looking for a good place for a town race, and Pebble Beach turned out to be the best pick. With its fairly narrow and twisting streets, the organizers saw the potential for a great race. However, they also knew that if you want a bigger crowd, you better give them something else to do as well. This is how the Pebble Beach Concours d’Elegance came into fruition – as an accompanying event to the race. Sadly, the race came to an end in 1956. A fatal accident stirred people up, since many of them thought that it was bound to happen sooner or later. Nevertheless, no one was willing to let the concourse go. People in California have had a fascination with classics for a while, so the car show became a mainstay. With time different events were organized around the show. At first, everything was held on the same day. Then it became a weekend, which later turned into an entire week of activities. The popularity of the whole endeavor has only grown with the years and now the events are attended by thousands of people. But what exactly are these events? Aside from the Pebble Beach Concours d’Elegance, there are several other things you can catch as well. A good example are the auctions, which can be quite fun to watch. You can see people buying expensive classics for millions of dollars. This year the auction drew about $368 million, which is lower than some previous years. That tells you a lot about how much interest there is in collecting classic cars. However, vintage cars are not the only thing to see there. If you are a fan of German cars, then the Legends of the Autobahn show is definitely a must see. There you can take a look at plenty of vehicles, both new and old. Car manufacturers from Germany contribute quite a lot to the show, so it is worth a visit. Additionally, there is the Porsche Werks Reunion, which only features Porsches. It has previously been part of the Autobahn event but got its own show in recent years. That is because the other event was dominated by Porsches anyway, so the split was a natural development. But as they say – the more the merrier. I would not turn down the chance to see more German cars, especially in the luxury class. So far it may seem like the whole Monterey Car Week has some German skew. Well, there is no need to worry. At Concorso Italiano, you can see many Italian masterpieces, including the likes of Ferrari. While the emphasis is on older vehicles, you can see some concept pieces as well, and many unique redesigns. A word has to be said about the only race in the week’s program. The Rolex Monterey Motorsports Reunion is quite the sight because it only features older racecars. Furthermore, during some years emphasis is put on a single marque, so you can watch how car engineering is holding up through time. A peculiar part of the week is the Jet Center Party, which is not available to the public. It is an exclusive event that you can only attend if you are invited. As the name suggests, it is a show not only for cars, but for private jets too. What is the Pebble Beach Concours d’Elegance all about? This car show is what the entire Monterey Car Week is built around. It is the cherry on top of all the amazement that surrounds the series of events. Not only that, but it is also thought to be the most esteemed event of its caliber. So what makes it so special? For starters, its name means “competition of elegance”. In recent years it has featured only 175 vintage vehicles. The limit is necessary due to the competitive nature of the event. Time is required to judge the vehicles and compare them all. The cars are separated in several classes depending on the marque, country of origin, time period and a few others. There are first, second and third places for all these categories. Oh, and there is the mega winner at the end, which is cast from the first picks of each category. The event is truly competitive. Just being picked to show up with your car there is a great honor in and of itself. Many collectors do not even think of winning the competition, they just want a way in. Considering that most vehicles there cost hundreds of thousands of dollars you can see that it is not an easy entrance. But that makes the show that much more interesting to see. Another notable thing about it is that the proceeds generated from it go to different charities. Most of them are for local support, but some national organizations have been supported as well. It is reported that each year the event contributes more than a million dollars, though that number is getting closer to two million nowadays. Demanding classic car collectors entrust Corsia Logistics with their valuable possessions. 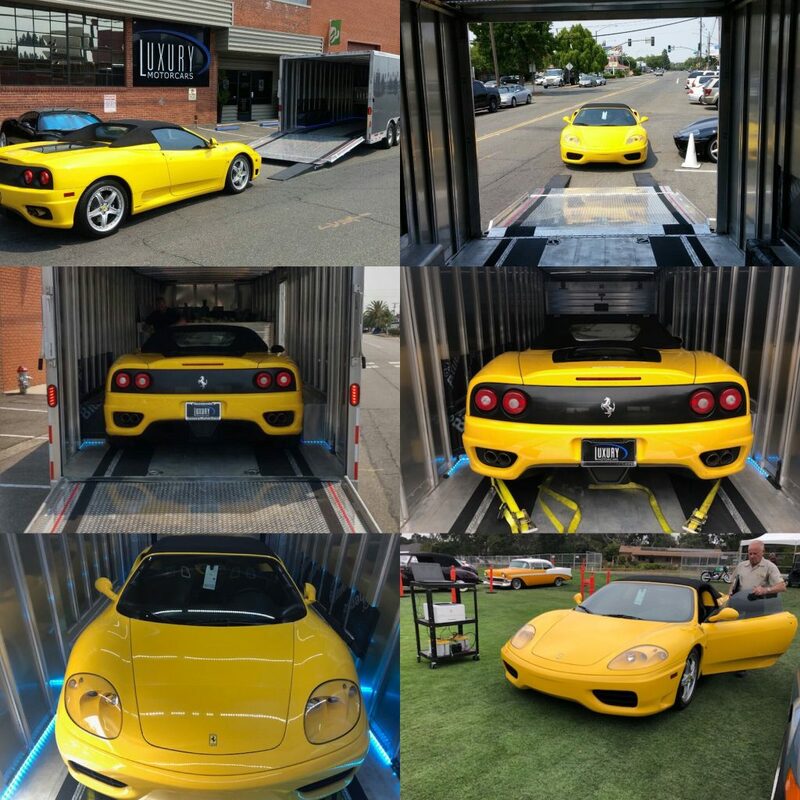 As an auto transport company, we from Corsia Logistics have shipped countless vehicles. 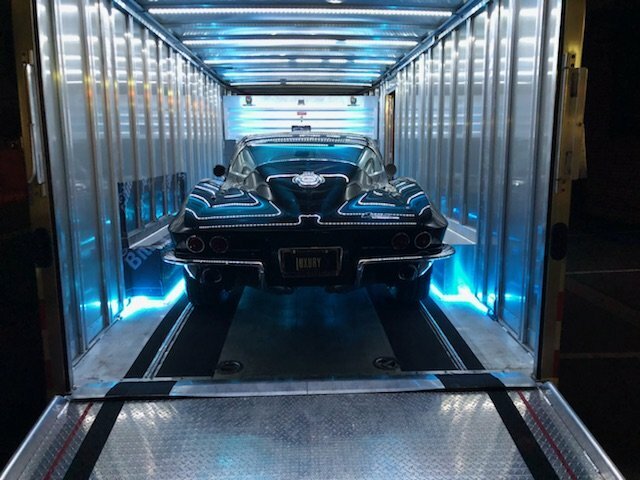 For a long time, collectors from all over the United States have counted on our services to transport their vehicles to different events. That is exactly how we have been contributing to the event for the last couple of years. This year we transported several Ferraris and a Corvette. Having to take care of these beauties is really something. We always prepare a special trailer for them, that is completely enclosed and is usually suitable for only a single vehicle. In a sense, you can think of it as transporting a valuable art piece, just on a larger scale. Because that is what the Pebble Beach Concours d’Elegance really is in the end – an art exhibition. And as such it is astonishing. If you have the chance to visit the event next year, definitely take it. You can see amazing cars, many of which are one of a kind. And while the focus is mostly on classics, there are many new vehicles to enjoy as well. So what do you think, do you want to see the show for yourself?